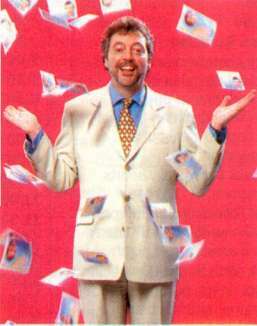 Could find photos of Jeremy Beadle, T.V. presenters hands. Thanks. 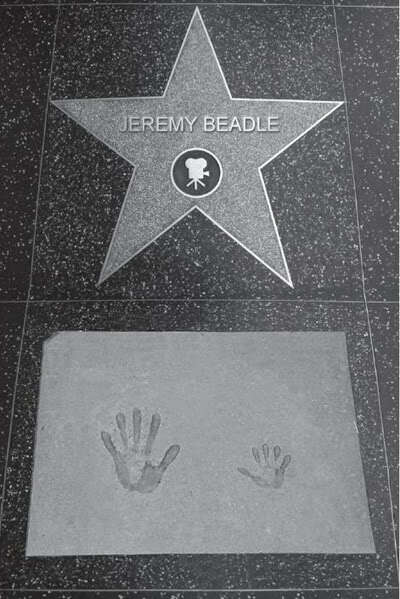 Jeremy Beadle - a.k.a. the 'King of Jokes' - had a very small little hand! 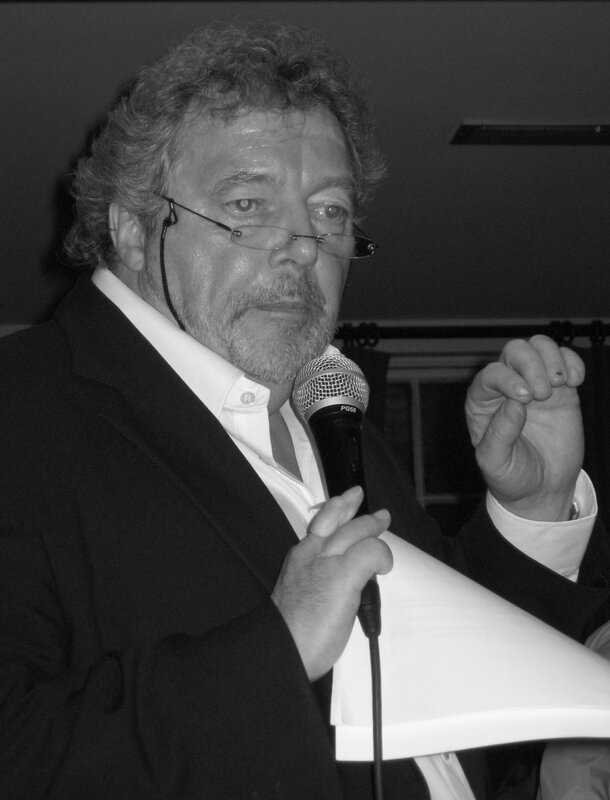 Jeremy Beadle often kept his right hand hidden, waved with his left. Here are a couple of not very good quality pics that give some idea how his right hand is smaller. Thanks. What a difference in his hands. A strange situation indeed. Jeanette you reminded me, I must post my avatar picture so that in a quick glance at who made the post, you won't confuse us,,,, I don't look like Martijn! Good idea to get your photo, although I would never have mistaken you for Martijin. Although he looks very good, you are much nicer looking. Remember Den said that you were much nicer looking than Johnny Fincham? You must feel so good knowing you are the prettiest of the three. Thanks Jeanette. Now how do I compare to Demi Moore? by the way, in case you didn't notice... I said it because you mistook me for Martijn in your previous post. Didn't realise that I mistook you for Martijin. Seriously I do not think much of Demi Moore, in saying that there are very few film stars and celebrities that I am impressed with. Truth is I am not easily impressed. However, when you said you would send your photo, it made me wonder why members post strange images. Why do they not, like we do, post photos of how they look. I find it strange when for example we get a post full of intellectual information, well beyond me, and after reading it all you look at the side and there is something that resembles a Walt Disney character. No offence Ron, but what are we supposed to imagine what you look like. Stefanman looks like a Picasso painting, Anud looks about 6years old with her face painted. It is very frustrating being a realist. well, I understand some people prefer to remain anonymous. Ron posted his photo then changed it. I think stefanman's is quite artistic! I think anu's lovely photo is her beautiful daughter (?). anyway back to the hand in question! Martijn, or anyone..... can you find any shots of Jeremy Beadle's right hand? Lynn wrote: Martijn, or anyone..... can you find any shots of Jeremy Beadle's right hand? Jeremy Beadle?? ... forget about! I notice on that facebook group, they have edited some photos, eg copies of the ones I posted here, to make his left hand look bigger and his right hand very small. He was the victim of many jokes because of his small right hand. Is it known what hand Jeremy Beadle used for writing? Caprie, I hope you didn't edit your post because of my comment! 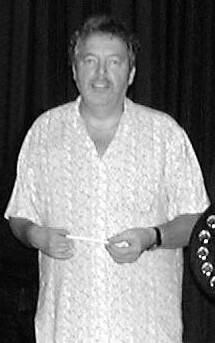 In my above post I forgot to say "but many people were also the victim of Jeremy Beadle's jokes and pranks, he was famous for being a joker"
oh thanks Martijn, I used a link rather than image because the photo was copyrighted. I've thought you don't like it and didn't want to mess with a moderator. Didn't post it to make fun of him, but it could be misinterpreted, so removed it. Lynn wrote: oh thanks Martijn, I used a link rather than image because the photo was copyrighted. So regarding the 'rights', I think this is not a concern for us in the perspective of the purpose of how we use the photo(s) at this forum - there are no commercial activities involved, etc. re "didn't want to mess with a moderator. " ah, OK! when I right-clicked on the (smaller version of) picture to save it, a copyright notice came up. I didn't see the download link! No problem Lynn. Thank you for the explanation. you're welcome Caprie. It amuses me that out of the many posts on this forum, in this topic we (you, me & Jeanette) have diversified & digressed into humour, which is what Jeremy Beadle was famous for! ... I had never seen Jeremy in action, but it appears that he was very good in creating & bringing jokes to the lives of people. These are 2 videos where we can see Jeremy Beadle's hands! "Help... an Alien landed in my garden! Uhm... do it want a cup of tea???" "Let's clamp a police care!"